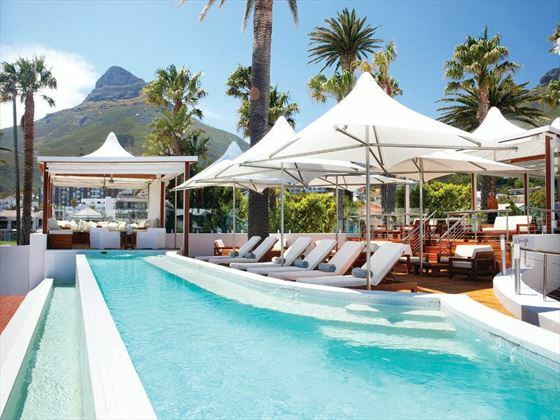 This picturesque resort is located along Camps Bay, a beautiful suburb in Cape Town renowned for its beautiful beaches, fine dining restaurants, and brilliant shopping. 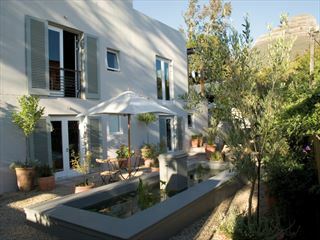 Adventure Pad - Lovely ground floor rooms opening onto an enclosed patio and offering great partial views of Lions Head. 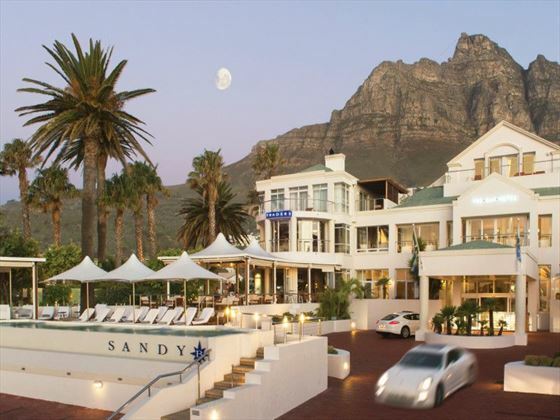 Mountain - Tranquil rooms with views of Table Mountain and the Twelve Apostles Mountain Range. Classic - Calming rooms with a private patio and direct access to the pool. 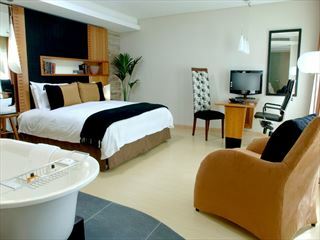 Club Classic - Welcoming rooms with a lovely living area, looking out onto Lions Head and the ocean. 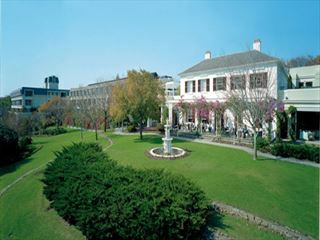 Premier Mountain - Bright and airy rooms boasting private spa baths, large balconies, and unsurpassable ocean views. Premier Pool - Spacious and inviting rooms, offering lovely views of the pool from the expansive private balcony. 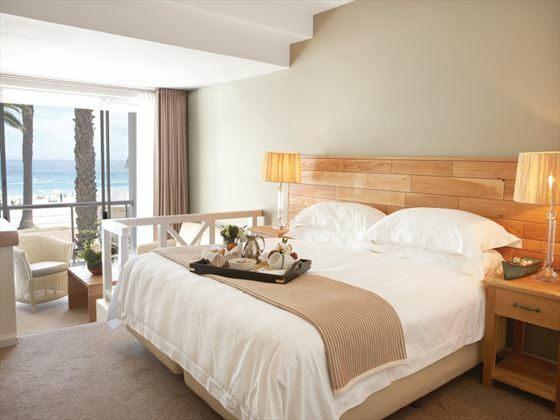 Premier Sea - Luxurious rooms overlooking Camps Bay beachfront, with a gorgeous furnished balcony. 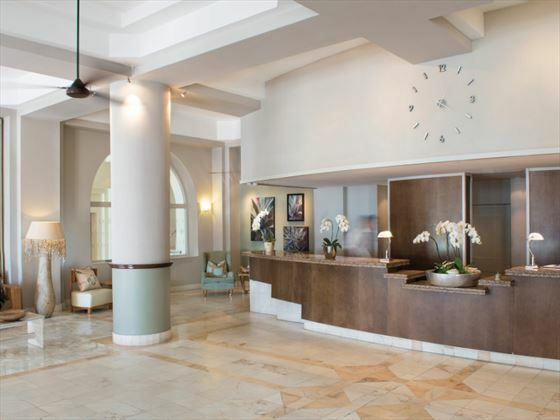 Cabana - Gorgeous ground floor rooms close to the beach, with a private patio and direct access to two Cabana pools. 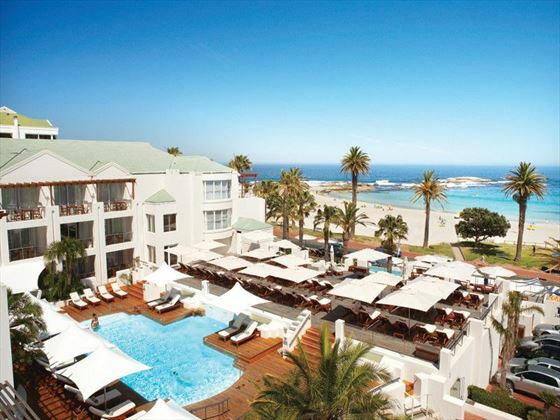 Luxury - Picturesque sea-facing rooms, boasting expansive balconies with sun loungers. Suites - Individually styled suites, offering a spacious living room, a large balcony, and phenomenal sea views. 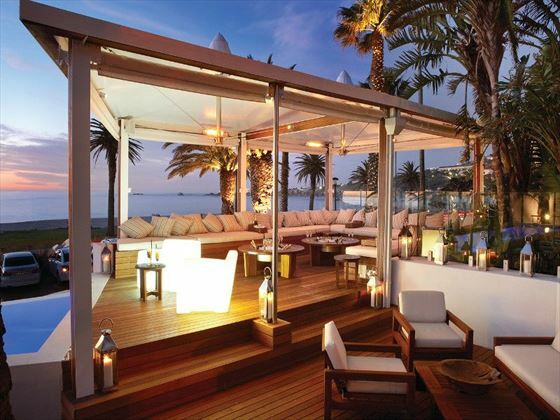 Penthouse - The most lavish of suites, with amazing ocean views, an even large living room, and a pretty balcony.